This post was last updated in 2012. The newer version, from February 2015 is under construction here. Ongoing controversies surrounding the construction of inter-provincial and international pipelines to transport bitumen from the oil sands have raised questions about the reasons Canada does not develop an even more integrated value-added oil industry. By 2013 with profits soaring, there was a pulling back of taxation easing and a decrease in enthusiasm for what many perceive as subsidies for the oil industry. In the report entitled “Public Services for Ontarians: a Path to Sustainability and Excellence” by the Commission on the Reform of Ontario’s Public Services, committee chair, economist Don Drummond, lamented the lack of federal support for Ontario’s green energy initiatives, while the oil and gas sectors received $1.4 billion in annual subsidies. However, there is at the same time, an aggressive push towards relaxing environmental concerns to allow for expansion of the already impressive network of pipelines to expand markets for bitumen with a focus on Asia. Hearings of the Northern Gateway Project Joint Review Panel Hearings, examining “the environmental viability of the proposed $6-billion twin pipeline project” were besieged by protesters who claimed the review was as undemocratic and alienating as observers watch the proceedings on screen in “dark and dreary rooms” separated from presenters in an effort to maintain order and respect. While the thousands of interveners protesting are successful in capturing media attention, there is a sense that pipeline expansion is inevitable as the oil industry and federal and Alberta governments align in their focus on increasing bitumen production and access to markets (west, east, south and even north). In 2012, faced with a boom in North American oil production, a shale and oil sands revolution and lack of pipeline capacity the very low price of WCS at $57 US a barrel suffered a 36% differential against WTI. With current North American crude oil markets, Mark Corey argued that once crude reaches tidewater, this waterborne crude will have higher value than landlocked crude. Getting tidewater access pricing point depends on increased pipeline access. At the February, 2012 parliamentary session on “Current and Future State of Oil and Gas Pipelines and Refining Capacity in Canada” Michael Ervin of Kent Group argues against the expansion of oil refineries claiming there is a trend towards decreasing the use of gasoline in North America, the US has made massive cuts in refineries, the BRIC countries will continue to building massive oil refineries and Albertan/Canadian refineries will be unable to compete at a global level. For most of us it is confusing to attempt to follow the flow of crude oil through complicated networks of pipelines from north to south (or west to east) then back again as much more expensive, products refined in the United States? Or will be purchasing refined products from the eastern United States from refineries that process crude oil imported from Saudi Arabia, Africa and Venezuela? As China buys more of the oil sands and China and India complete their super refineries, will the gasoline in Canadian pumps will be coming from there, an even cheaper source than the United States? Does that mean bitumen from northern Alberta will traverse British Columbia/Alberta borders, then cross the ocean twice to return to us as refined products that cost less to the Canadian consumer and the environment? What are the guarantees that we will have access to oil and its byproducts in future markets when 40% of the oil sands industry is already foreign-owned and managed? Integrated firms, such as Calgary-based Husky (controlled by Hong Kong billionaire Li Ka-shing) with its crude storage system in Hardisty, pipelines, upgrader and refineries, use the cheaper oil sands crude oil as refinery and upgrader feedstock. The mitigation potential of integrated firms is substantial. Husky’s net earnings increased by 22% since April 2011 in spite of the volatility of price of crude. The Calgary-based American integrated company, Imperial Oil, with its refineries posted a 30% increase in earnings in the first quarter of 2012 (Calgary Herald 2012-04). In North America, the benchmark crude oil price is West Texas Intermediate (“WTI”), a high-quality, light-weight, low-sulphur, sweet crude; WTI is the underlying commodity of the (NYME) New York Mercantile Exchange’s oil futures contracts. These properties make it excellent for making gasoline, which is why it is the major benchmark of crude oil in the Americas. WTI is generally priced at about a $5-6 per barrel premium to the OPEC Basket Price and about $1-2 per-barrel premium to Brent (Amadeo February 13, 2012).” Western Canadian Select (WCS) are priced/discounted against the the price of West Texas Intermediate (WTI) crude oil (http://www.baytex.ab.ca/operations/marketing/benchmark-heavy-oil-prices.cfm). According to reuters, in February 2013 WTI was at $93; WCS at $57 (a 36% discount) and Brent was $111 per barrel. In October 2012 WTI was at US$96.21 a barrel and WCS was at US$74.21 a $22.00 discount or differential which is 22.8%. (http://www.baytex.ab.ca/files/pdf/Operations/Historical%20WCS%20Pricing_October%202012.pdf) In December 18, 2012 WCS was $55 US per barrel with $33 US discount relative to WTI grade at $88 US. The world price for light sweet Brent Crude was just shy of $109 per barrel. (Kleiss, Karen. 2012-12-19. “Plunging oil price a long-term concern for Alberta.” Edmonton Journal). Lower prices, which are also related to seasonal events, are consistently tied to over supply and inadequate transportation infrastructure to suitable refineries. As one question appears to be answered another is raised as issues concerning the oil industry cannot be disentangled from questions and concerns about complex financial instruments that have changed basic concepts of economics globally. Public policy regarding energy strategies needs to balance concerns about the economy in general, employment, transportation and the environment. “[T]he government’s focus began to really sharpen in the mid-1990s in the wake of several significant accidents and the industry’s response […] of a broad commitment to risk management. The ebb and flow of legislative and regulatory mandates is directly tied to accidents, with the regulatory tide becoming ever higher when the accidents come in groups, as they did in 1994 and 1995, 2000 and 2001, and most recently, [in 2010].” Tenley, George. 2011-04-04/07. Opening Address. Managing Pipeline Integrity. 11th Workshop. Banff, AB. How long will it take for greener energies to be developed gradually replacing our thirst for oil? How green will they really be? How deep are the changes you are willing to make? In the interim, how can we manage risks inherent in the energy industries? Pipelines and/or refineries? What are the environmental costs for both? Truck transport versus Pipeline Transport? From where does Canada import its oil? 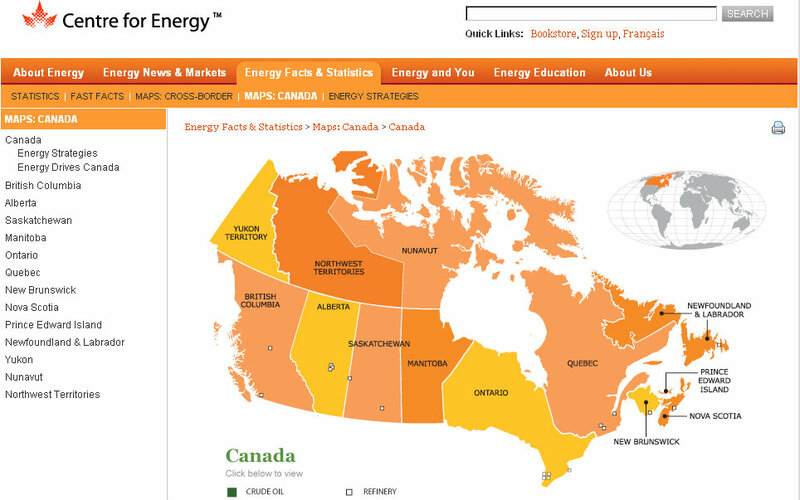 Why does Canada not have a cohesive national energy strategy? Why does Canada not have more oil refineries? How much does it really cost to build a brand new and economically viable oil refinery? 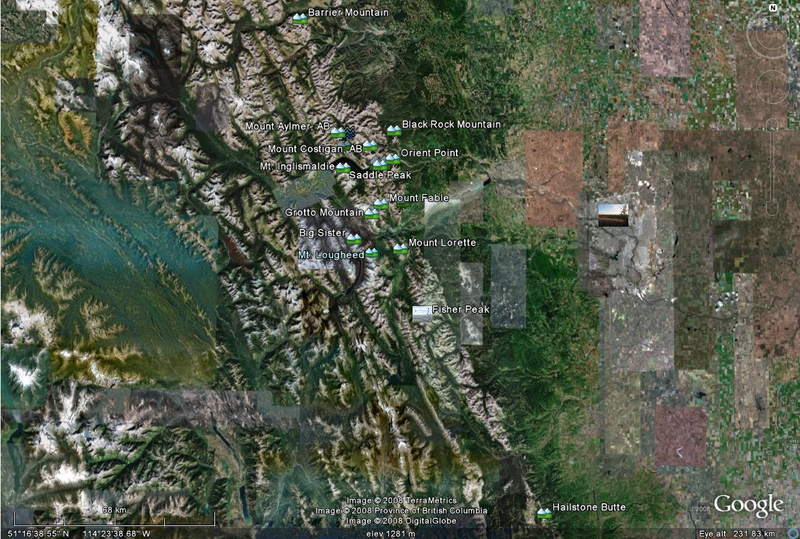 Where are Canada’s oil refineries? Who owns Canada’s oil refineries? Where are Canada’s oil pipelines? Who owns Canada’s oil pipelines? What if there is an oil shortage or crisis? According to most North American economists and the business community the the responsibility of the CEO’s of incorporated companies such as the oil sands giants, which include super major oil companies (who represent more than 80% of the oil sands production in Canada: BP Canada Energy Company (British multinational oil and gas company headquartered in London, United Kingdom), Canadian Natural Resources Limited, Cenovus Energy Inc., ConocoPhillips Canada Resources Corp. (American multinational energy), Devon Canada Corporation(largest U.S.-based independent natural gas and oil producer), Imperial Oil (controlled by US based ExxonMobil, which owns 69.6% of its stock), Nexen Inc., Shell Canada Energy(Canada-based subsidiary of Royal Dutch Shell, one of the largest multinational oil companies in the world), Statoil Canada Ltd., Suncor Energy Inc.(Canadian), Teck Resources Limited (Canadian), Total E&P Canada Ltd.)(French multinational oil and gas company, one of the six “Supermajor” oil companies in the world), the major players in the oil refining industry (Imperial Oil, Husky (controlled by Hong Kong billionaire Li Ka-shing) Harvest (controlled by state-owned Korea National Oil Corporation (KNOC), Chevron (American multinational energy corporation, one of six super majors), Suncor (Canadian), Shell (Canada-based subsidiary of Royal Dutch Shell, one of the largest multinational oil companies in the world), NOVA Chemicals, Ultramar (Canadian), Irving Oil (private Canadian) and the oil pipeline industry (TransCanada (Canadian), Enbridge (Canadian), Seaway), is to increase the market value of stocks owned by shareholders. The Canadian Council of Chief Executives (CCCE) an influential public policy advocate association composed of the CEOs of 150 leading Canadian companies, CEOs, who “collectively administer C$4.5 trillion in assets, have annual revenues in excess of C$850 billion, and are responsible for the vast majority of Canada’s exports, investment, research and development, and training.” In 2012 they hosted a series entitled “Canada in the Pacific Century: Ensuring Canada’s Success in a Rebalanced Global Economy.” In the session in Calgary December, 2012 there was much celebratory congratulations on the federal decision to approve $15B Chinese takeover of Nexen. Alberta’s Energy Minister repeats again his call to get bitumen to tidewater or saltwater ports so Alberta can get “world price” instead of suffering increasing price differentials against WTI. Because Alberta is landlocked, not at tidewater, the oil industry loses $15 – $20 billion in revenues annually. He claims the lost oil revenue is reflected in lost provincial royalties although Alberta receives Bitumen Royalty-in-Kind (BRIK) by which the government has the option to take its royalty share either in cash or in kind. “Currently, the government takes its share of conventional crude oil production in kind and collects its royalty share for other resources in cash. The decision to exercise the in-kind option for bitumen was identified in October 2007 as a way for the Crown to use its share of bitumen strategically to supply potential upgraders and refineries in Alberta, and to optimize its royalty share by marketing those volumes (Government of Alberta. Energy. BRIK. FAQ).”. “The evolution of safety regulation in North America has moved to a new focus; namely, the total corporate responsibility for every facet of the operation, including the integrity management plan and the actions taken under it. This strong focus on the “management” side of “integrity management” has occurred over a relatively short timeframe, and has been made operational in the wake of serious industry sins of omission at the highest levels of corporate leadership.” Tenley, George. 2011-04-04/07. Opening Address. Managing Pipeline Integrity. 11th Workshop. Banff, AB. Pipelines are aging. Newer pipelines can have monitoring devices built in but these new smart technologies are difficult to adapt to pipelines built 50 years ago. In its 2010 field surveillance report, the Energy Resources Conservation Board (ERCB), an independent agency of the Government of Alberta, recorded “687 pipeline failures across the province” (ERCB. 2011-11. ST57-2011 “Field Surveillance and Operations Branch Provincial Summary 2010” p. 16 http://www.ercb.ca/docs/products/STs/ST57-2011.pdf).” (626 were leaks/hits, 18 were ruptures, and 43 were hits with no release (ERCB 2010). There is an intense race to add new lines, reverse flows and repair old pipelines as oil sands’ projects increase production. There are three major pipeline projects proposed in British Columbia: Enbridge’s Northern Gateway Pipeline, the expansion of Kinder Morgan’s Trans Mountain Pipeline, and the Pacific Trails Pipeline by Apache, Encana and EOG Resources. There is currently an over production of light and heavy Canadian crude varieties and a pipeline bottleneck in the American Midwest. Refineries are closed for maintenance or expediency and Canadian crude is steeply discounted against WTI (Calgary Herald 2012-04). There is also a heightened competition between Alberta’s oil sands and North Dakota’s Bakken formation “tight” oil for pipeline priorities. Oil refineries are costly to build and/or refurbish and the market is considered to be “mature.” International agreements appear to limit the ability of nation-states to make logical, reasonable decisions. Alberta alone has 400,000 km of provincially regulated pipelines. (CBC. 2012-07-20. “Alberta pledges pipeline safety review: 3-pronged review to be carried out by independent party, energy minister says.”) see map image here mapping Alberta’s pipelines. This Financial Post map is interactive. Although the industry claims that diluted bitumen (dilbit) is no more corrosive than conventional crude, older pipelines are at higher risk because water that separates from dilbit tends to collect and start corroding (Linda Daugherty, US Pipeline and Hazardous Materials Safety Administration (PHMSA)’s deputy associate administrator for policy and programs). “Internal corrosion is a leading cause of pipeline failure — and one of the most difficult to detect.” Monitoring internal corrosion of pipelines is both “challenging and expensive” costing “several billion dollars annually in the U.S. alone.” Internal corrosion of pipelines can occur when moisture mixes with impurities (salts, like chlorine, and sulphur compounds). (source Bill Shaw, engineering professor at the University of Calgary and director of the Pipeline Engineering Centre, which studies corrosion and monitoring). Tank Truck transport versus Pipeline Transport? By 2003 there was concern that the transportation of crude bitumen would face huge obstacles. “Road conditions, weather problems, and fuel prices are some of the other issues that hauling companies have to deal with routinely. Although the preferred mode of transporting crude bitumen is pipelining wherever possible, the Alberta Utilities and Energy Board estimates that unless there is a dramatic technological breakthrough, or a substantial increase in the price of crude bitumen, pipelining of this product will not be technically or economically feasible within the foreseeable future (Laverty, K. 2003-04-07. “Super trucks: Loads grow so fast that the oil industry’s ‘transport architects’ stopped keeping score on size records.” Oilweek Magazine. Vol. 54. No. 14. page(s) 42-46). Alberta Provincial Highway No. 63 built in 1970 is a 240-kilometre-long, two-lane north–south highway road connecting Fort McMurray and the Oil Sands bitumen mine sites to southern Alberta. According to Syncrude Canada, Highway 63 probably ferries the highest tonnage per mile of any road in Canada and is “inadequate for the traffic that uses it.” Plans are underway (2012) to expand it into a four-lane divided highway to accommodate the heavy traffic of logging trucks, SUVs, semi-trailers, buses and tanker trucks including convoys of extra-wide loads carrying tires, turbines and cokers (source). There are numerous fatal accidents on the highway as tankers and logging trucks slow traffic to a crawl while oil workers race to get in and out of the site. The expansion would cost c. one-billion-dollar and the province is considering using toll booths to place the cost of the oil sands’ driven needs on the shoulders of the users: the oil sands industry. This would increase the cost of trucking oil by tankers and intensify the push for more pipeline capacity. In his paper on bio-oil (not heavy oil) Pootakham claimed there was less of an environmental footprint if pipelines not trucks were used as transportation (Epub. Pootakham T, Kumar A. 2010-01. “A comparison of pipeline versus truck transport of bio-oil.” 101(1):414-21. Pootakham T, Kumar A. 2009-08-21. “A comparison of pipeline versus truck transport of bio-oil.“). Epub. Pootakham T, Kumar A. 2010-01. “A comparison of pipeline versus truck transport of bio-oil.” 101(1):414-21. The oil industry has received various forms of federal and provincial incentives in the years prior to the boom. For example, the governments provide funds for research on improved technologies and methodologies for extraction, land recovery, etc. Companies who receive this multi-million dollar funding are not obligated to use the technologies they develop if the profit-margins would be negatively affected by their implementation. How many millions of public funds have been quietly assigned to this research? This debate unfolds at a time when Canadians consume about 1.8 million barrels of oil a day according to Peter Boag, president of the Canadian Petroleum Products Institute (Lindell, 2012-01-31). While Boag also claims that Canada’s 19 refineries produce two million barrels of day, and are only operating at 80% capacity, he neglects to mention that many Canadian refineries are older, smaller, inefficient and not designed for bitumen. The product Canadians produce is exported and Canada relies on U. S. refineries to supply gasoline and airline fuel for example. Eastern refineries rely on oil imported from Saudi Arabia, Africa and Venezuela, which are much more volatile than WTI prices for geopolitical reasons. In March 2012 the Brent-WTI differential continued to negatively impact the price of bitumen from the oil sands. Western Canada Select was priced at a $35.50 U. S. discount to West Texas Intermediate (WTI) (37% below the U.S. crude), which itself trades at a substantial discount to the Brent crude oil prices. Brent crude oil prices rose (2012-03-21) to a record high of near $125 per barrel (Hussain, Yadullah. 2012-03-21. “Oil industry may lose $18B a year in crude price discounts: CIBC.” Financial Post). The inadequacy of the current pipeline national and Canada-U.S. networks also decrease the market value of Western Canada Select. Until TransCanada’s Keystone XL portion is operational, there is a bottle neck which limits the movement of bitumen to U.S. refineries capable of upgrading the heavy oil. Some predict that this pipeline extension will not be in place until late 2013 and until then the Brent-WTI differential will remain. Synthetic Crude Oil Production: “In 2010, all crude bitumen produced from mining, as well as a small portion of in situ production (about 11 per cent), was upgraded in Alberta, yielding 46.1 million m3 (290 million barrels) of SCO. About 58 per cent of total crude bitumen produced in Alberta was upgraded in the province in 2010. By 2020, SCO production is forecast to almost double to 81.5 million m3 (513 million barrels). While this is a significant increase compared to 2010, it is expected that only 47 per cent of total crude bitumen produced in Alberta will be upgraded in the province by the end of the forecast period because of an expected narrow price differential of bitumen relative to light crude oil. Over the next 10 years, mined bitumen is projected to continue to be the primary source of the bitumen upgraded to SCO in Alberta. However, it is projected that bitumen from in situ production will be increasingly upgraded to SCO in the province. The portion of in situ production upgraded in the province will increase from 11 per cent in 2010 to 13 per cent by the end of the forecast period.” ERCB. 2011-06. “ST98-2011 Alberta’s Energy Reserves 2010 and Supply/Demand Outlook 2011-2020.” p. 6. There is a call for keeping more employment in Canada and for expanded use of eastern oil refineries. Questions and concerns about the race to sell bitumen using today’s water-hungry and natural-gas hungry technologies, are being raised. There is a call to slow down the process. However, the price of natural gas has fallen dramatically and “natural gas is a key raw material for refineries, which use it predominantly as a source of fuel to operate. Hydraulic fracturing methods have significantly increased the supply of natural gas in the U.S.” “Natural gas is a market that has been turned upside down in the last few years with the development of technology for extracting gas from shale beds with hydraulic fracturing. The new resources made available through fracking have caused the price to drop from $8 for a million BTUs to between $4 and $5 per MBTU. The U.S. has been in the lead when it comes to exploiting shale gas (Kanellos 2011-06-09). Even though “we would get far more value for our resources if we were to ship refined product,” Canada only refines about 50% of oil and the rest goes to refineries in the United States. Increases in oil refinery facility size and improvements in efficiencies have offset much of the lost physical capacity of the industry. Mintz, Jack. 2012-07-24. “We should welcome investment, but state-owned firms like China National Offshore Oil Corp (CNOOC) — now targeting Nexen — are a different matter.” Financial Post. While it is widely acknowledged that Canada needs to diversify and depend less on the United States as its major market, there are concerns about basing the Asian market on state-owned corporations. The Economist revealed some disturbing trends in this emerging form of capitalism: state capitalism. Sixteen of the largest twenty global oil companies are state owned, and together control over 80 % of oil reserves. Their bottom line is profit and have no concern for Canada’s long-term economic health, employment, environmental impact, etc. “Investments by China’s big energy State Owned Enterprises (SEOs) – China National Offshore Oil Corp (CNOOC), Sinopec and CNPC – in Canada’s oilsands and unconventional gas sectors since 2010 have totalled at least $25 billion… [C]oncerns about SOEs range from unlawful technology transfers to preferred access to bank capital and below-market interest rates that suggest the companies don’t play by the same economic rules as their competitors (Ewan. 2012-08. “Canada Riding Historic Wave Chinese Investment.” Calgary Herald 2012). CNOOK “is an $89 billion company with oil and gas assets in Indonesia, Iraq, Australia, Africa, North and South America, as well as China… The $15 billion bid by China National Offshore Oil Corp (CNOOC) to buy Canada’s Nexen, Inc will help the Chinese state giant gain the expertise to drill in deep, disputed waters of the South China Sea without relying on risk-averse foreign firms (Eckert, Paul. 2012-08-04. CNOOC-Nexen deal seen helping China’s South China Sea thrust. Reuters).” By 2018-2023 China would probably have the experience, knowledge and technologies like those Nexen already has to “set up and maintain stable rigs in 5,000-10,000 feet of ocean water” and “drill 10,000-18,000 feet deep in sediment (Eckert 2012-08-04)”. How might China’s access to an expanded South China Sea deep drilling, affect the future of oil sands bitumen market and the Northern Gateway pipeline in five or ten years? Where does Canada’s oil come from? How many jobs do the oil sands provide? The Canadian Petroleum Products Institute (CPPI) commissioned The Conference Board of Canada study entitled “Canada’s Refining Sector: An Important Contributor Facing Global Challenges” . Pedro Antunes, (2011-10-31) argued that even if the upstream (oil and gas exploration and production) segment of the industry continues its robust expansion in Canada, “the future economic benefits, job creation, and profits from oil refining and processing are much less assured (Crawford, Todd. 2011-10-31. “Canada’s Refining Sector: An Important Contributor Facing Global Challenges.” The Conference Board of Canada. Commissioned by The Canadian Petroleum Products Institute (CPPI). 52 pages. Document Highlights: Canada’s refining industry has undergone a massive restructuring over the past 30 years. Since the 1970s, the number of operating refineries has dropped from 40 to just 18 today. While global demand for petroleum products continues to rise and the outlook for Canada’s upstream energy sector is bright, Canadian refiners face a very particular set of challenges, since North American and other OECD markets will likely be characterized by declining demand. Increases in oil refinery facility size and improvements in efficiencies have offset much of the lost physical capacity of the industry. “In 2009 through 2010, as revenue streams in the oil business dried up and profitability of oil refineries fell due to lower demand for product and high reserves of supply preceding the economic recession, oil companies began to close or sell refineries. Due to EPA regulations, the costs associated with closing a refinery are very high, meaning that many former refineries are re-purposed (Wayman E. Recession’s latest victim: oil refineries. Earth magazine. June 2010. Pgs 10-11).In 2009 Royal Dutch Shell Europe’s largest oil company closed oil refineries in the US and considered selling or closing its 130,000-barrel-per-day refinery in Montreal, which it has operated since 1933.
oil industry is closing refineries not constructing new ones. multinational oil companies lack motivation to protect Canadian interests. 16 of the largest 20 global oil companies are state owned, and together control over 80 per cent of oil reserves. Canada had a state-owned oil company Petro Canada but it was acquired by Suncor. International companies like Imperial Oil, Husky look at profits for global company. Integrated firms, such as Calgary-based Husky (controlled by Hong Kong billionaire Li Ka-shing) with its crude storage system in Hardisty, pipelines, upgrader and refineries, use the cheaper oil sands crude oil as refinery and upgrader feedstock. The stocks of these integrated firms are substantially mitigated. Husky’s net earnings increased by 22% since April 2011 in spite of the volatility of price of crude. Light and heavy Canadian crude varieties were steeply discounted against WTI in 2012 on pipeline bottlenecks in the U.S. Midwest, made worse by high production and refinery downtime (Calgary Herald 2012-04). The Calgary-based American integrated company, Imperial Oil, with its refineries posted a 30% increase in earnings in the first quarter of 2012 (Calgary Herald 2012-04). The biggest oil refinery Suncor in Edmonton, Alberta processes 135,000-barrel-per-day and runs entirely on oil sands-based feedstocks and produces a high yield of light oils.” Suncor be the fifth largest oil and gas company in North America with assets of $43 billion. When it acquired PetroCanada it became Canada’s largest upstream producer and second largest refiner of gasoline and oil products. Among others, Canadian oil sands are being developed by supermajors, the world’s five or six largest publicly-owned oil and gas companies: BP p.l.c., Chevron Corporation, ExxonMobil Corporation, Royal Dutch Shell plc, Total S.A. and ConocoPhillips Company A supermajor is one of the world’s five or six largest publicly-owned oil and gas companies. In an effort to improve economies of scale, hedge against oil price volatility, and reduce large cash reserves through reinvestment, largely in response to the a severe fall in oil prices the major mergers and acquisitions of oil and gas companies took place between 1998 and 2002. (BP’s acquisitions of Amoco in 1998 and of ARCO in 2000; Exxon’s merger with Mobil in 1999, forming ExxonMobil; Total’s merger with Petrofina in 1999 and with Elf Aquitaine in 2000, with the resulting company subsequently renamed Total S.A.; Chevron’s acquisition of Texaco in 2001; and the merger of Conoco Inc. and Phillips Petroleum Company in 2002, forming Conoco Phillips. Reductions in storage capacity and the number of gasoline stations of over ten percent have also taken place in just the past half-decade. These reductions in capacity have been driven in part by a merger wave that has resulted in a significant increase in the concentration of ownership of refinery capacity and gasoline outlets. Four-fifths of regional refinery markets have reached levels of concentration that trigger competitive concerns, even by the standards adopted by the antitrust division of the Reagan administration’s Department of Justice. In these markets, the largest four firms account for at least one-half and as much as three quarters of the refined product output. A similar trend has been in evidence at the level of gasoline stations. Where is oil found in Canada? Where does Canadian crude oil and petroleum products go? 66% of Canada’s oil production goes almost exclusively to the United States in the form of exports (Council of Canadians). How many oil refineries does Canada have in 2012? Where are the existing oil refineries in Canada? exchanged with production from the Husky Prince George Refinery (Husky Annual Report 2011).” Husky is controlled by Hong Kong billionaire Li Ka-shing. Husky Energy Inc. Lloydminster SK* Asphalt plant and CPPI member. Husky is controlled by Hong Kong billionaire Li Ka-shing. North Atlantic Refining Limited Come by Chance Refinery Come by Chance NF. North Atlantic Refining Limited is a downstream subsidiary of Harvest Operations Corporation which is a wholly-owned subsidiary of the Korean state-owned Korea National Oil Corporation (“KNOC”). The Korea National Oil Corporation, whose CEO is a KNOC executive who replaced is a “significant operator in Canada’s energy industry offering stakeholders exposure to an integrated structure with upstream (exploration, development and production of crude oil and natural gas) and downstream (refining and marketing of distillate, gasoline and fuel oil) segments. KNOC Upstream oil and gas production is weighted approximately 70% to crude oil and liquids and 30% to natural gas, and is complemented by their long-life refining and marketing business.” The replacement in 2012 of a Canadian CEO by a Korean CEO is considered to be a major paradigm shift in the Asian-Canadian oil investment partnerships. Shell Canada Products a European Oil Major Sarnia Manufacturing Centre (Corunna refinery) 75,000 barrels of crude oil daily. Corunna ON Originally built in 1952 by Canadian Oil Companies Limited. NOVA Chemicals (Canada) Limited Sarnia ON “NOVA Chemicals’ Corunna site The Corunna facility started up in late 1977 and was purchased by NOVA Chemcals in 1988. It was the first fully integrated refinery and petrochemical complex in North America. It is a refinery and petrochemical complex that supplies between 30% and 40% of Canada’s total requirements for primary petrochemicals. The refinery is capable of producing in excess of 3.5 billion pounds (1.6 million tonnes) of basic petrochemicals and 3 billion pounds of refinery and energy products annually. The Corunna site processes crude oil, condensate and natural gas liquids (NGLs) that are delivered to the site by pipeline from western Canada. These products are the feedstocks used to manufacture ethylene, propylene, butadiene, iso-butylene, n-butylene, benzene, toluene and xylene. During petrochemical production, other co-products are also manufactured, including synthetic natural gas, liquefied petroleum gas, gasoline components, diesel fuel, home heating oil and heavy residual fuel oil. ” 500 employees work at the Corunna plant. Imperial Oil Limited Nanticoke Refinery Jarvis ON. Approximately 25 percent of petroleum products sold in Ontario originate from the Nanticoke refinery. Approximately 260 employees. Daily capacity: 112,000 barrels of crude oil. China National Offshore Oil Corp (CNOOC)CNOOC is “an $89 billion company with oil and gas assets in Indonesia, Iraq, Australia, Africa, North and South America, as well as China… The $15 billion bid by China National Offshore Oil Corp (CNOOC) to buy Canada’s Nexen, Inc will help the Chinese state giant gain the expertise to drill in deep, disputed waters of the South China Sea without relying on risk-averse foreign firms (Eckert, Paul. 2012-08-04. CNOOC-Nexen deal seen helping China’s South China Sea thrust. Reuters).” By 2018-2023 China would probably have the experience, knowledge and technologies like those Nexen already has to “set up and maintain stable rigs in 5,000-10,000 feet of ocean water” and “drill 10,000-18,000 feet deep in sediment (Eckert 2012-08-04)”. How might China’s access to an expanded South China Sea deep drilling, affect the future of oil sands bitumen market and the Northern Gateway pipeline in five or ten years? Conference Board of CanadaAn independent, not-for-profit, applied research organization in Canada, self-describes as non-partisan. Facing Global Challenges” in 2011 by Todd Crawford. Ferguson, Brian is President & Chief Executive Officer of Cenovus Energy’s strategic and operational performance. He is also a Director of Cenovus Energy. His background is in finance, business development, reserves, strategic planning, evaluations, communications and accounting. Brian is a member of the highly influential Canadian Council of Chief Executives who are considered by some to be an unofficial arm of the federal government. Brian is currently serving a two-year term on the Canadian Association of Petroleum Producers (CAPP) Board of Governors. In November 2011, in a joint business venture Cenovus and ConocoPhillips completed a new four-drum coker as part of the coker and refinery expansion (CORE) project at Wood River (Illinois). The new coker has a capacity of 65,000 barrels per day and is expected to expand our heavy oil processing capacity to approximately 200,000 – 220,000 barrels per day, increasing the production of clean transportation fuels for the U.S. Midwest market, including St. Louis and Chicago. The CORE project took about three years to build, with a total cost of US$3.8 billion (US$1.9 billion to Cenovus), and has increased clean product yield by 5% to approximately 85%. Cenovus is involved in a business venture with ConocoPhillips in upstream enhanced oil operations and downstream refining. Cenovus has a 50% interest in the Wood River (Illinois) and Borger (Texas) refineries. ConocoPhillips has a 50% interest in our Foster Creek and Christina Lake Steam Assisted Gravity Drainage (SAGD), enhanced oil recovery technology for producing heavy crude oil and bitumen. These two extraction upstream projects in the Athabasca region in northeast Alberta. This interest in two quality refineries is a strategic fit for Cenovus and allows us to capture the full value from crude oil production through to refined products such as diesel, gasoline and jet fuel (Cenovus).” “The Foster Creek project began in 1996 and in 2002 became the industry’s first commercial SAGD project. It has grown in five phases with an expected production capacity of 120,000 gross barrels per day. In the first quarter of 2010 Foster Creek achieved a significant milestone in becoming the largest commercial SAGD project in Alberta to reach royalty payout status. For a project to reach payout its cumulative revenues exceed cumulative allowable costs.” Cenovus is Alberta’s sixth largest energy company with more than 3,000 staff (Cenovus Energy). It’s a sign of commercial success for Cenovus and ConocoPhillips but what does it mean in terms of Alberta’s oil sands royalties if a project can reach royalty payout status? ConocoPhillips and Cenovus are in a shared business venture involving 2 high quality refineries (Wood River Refinery near St. Louis which is the largest of the 12 refineries operated by ConocoPhillips and Borger in Borger, Texas) and in upstream extraction projects in Alberta, ConocoPhillips has a 50% interest in our Foster Creek and Christina Lake Steam Assisted Gravity Drainage (SAGD). Steve Williams, Suncor’s president and COO has a background in strategy development, company performance improvement, refinery & chemical company management. He has also provided leadership in the areas of environment, health and safety, finance, sales and marketing, human resources, and information technology. Bloomberg’s Jeremy van Loon about an industry-led effort to reduce the environmental impact of oil-sands production. Encana was formed in 2002 merging two Canadian oil and gas companies, PanCanadian Energy Corp. and Alberta Energy Company (AEC). Encana Corporation split into two distinct companies on December 1, 2009: one a pure play natural gas company (Encana) and the other an integrated oil company (Cenovus) which absorbed the assets formerly belonging to PanCanadian Energy Corp. and Alberta Energy Company (AEC), the two Canadian oil and gas companies that merged to form Encana in 2002 as well as a stake in 2 high quality refineries (Wood River Refinery near St. Louis which is the largest of the 12 refineries operated by ConocoPhillips and Borger in Borger, Texas). Consumer Federation of America (CFA) is an association of non-profit consumer organizations that was established in 1968 to advance the consumer interest through research, advocacy, and education. Today, nearly 300 of these groups participate in the federation and govern it through their representatives on the organization’s Board of Directors (CFA about). Peter Boag, president of the Canadian Petroleum Products Institute, argues that “Canada’s 19 refineries produce two million barrels of day, but they are only operating at 80 per cent capacity. The ideal, according to the industry, is to be operating at 95 per cent. Canadians consume about 1.8 million barrels of oil a day.” Mark Corey, the Assistant Deputy Minister of Natural Resources Canada’s Energy Sector agreed. Lindell, 2012-01-31). Brenda Kenny, president of the Canadian Energy Pipelines Association, said that using imported oil eliminates certain costs (CBC 2012-01). In the pipeline versus refinery debate her interests are clearly on the side of pipelines. Will Roach, was chief executive of UTS Energy Corp., which held a 30% stake in Petro-Canada`s planned Fort Hills oil sands project, one of numerous multibillion-dollar projects on the drawing board in 2007. Editor. 2012-03-29 “Editorial: The pro-pipeline federal budget.” Calgary Herald. “The British financial journalism had been molded in the hands of people like J.R. McCulloch the editor of the Scotsman and the first real economist to write regularly in a newspaper. The influence of McCulloch is evident as he edited such works as The Wealth of Nations by Adam Smith in The Works of David Ricardo (source). Today magazines like The Economist and The Financial Times rely on McCulloch’s heritage while the American Barron‘s and the Wall Street Journal have for long been more finance oriented sources based on Alsanger’s foundation. In general this could be described as Speculators vs. Economic theory. This difference is important when retrieving, analyzing and valuing information from different sources on both sides of the Atlantic Ocean. Different cultural background and general rivalry has for example led many US financial journalist still today to consider The Economist the most overrated journal in the world! 1973 The oil crisis in 1973 and the collapse of the Bretton Woods exchange system seriously dented the limelight of the Keynesian economic gurus and gave rise to antiKeynesians intellectuals such as the Nobel-winning Austrian economist Friedrich A. Hayek (source). Sitting in her forest green long velvet dress storyteller and word magician Orunamamu perused the small book of poetry looking for the poem our host had read just before her arrival at the neighbourhood friendship potluck gathering. I had told her about it because I knew she would like it. Something about the combination of courage, gaiety and the quiet mind. On my hands and knees in my ridiculous but practical hort outfit I spend hours tending to dozens, maybe even, hundreds of plants, perennials, heritage, gifts, volunteers, seeds, flowering, vegetables, herbs, invasives (too enthusiastic at the wrong place and time). The garden is one place where some of us find courage as we see the tiny new growth on a plant that has looked forlorn for months, barely alive in the fall many of them transplanted perhaps too late in the season surviving somehow the trauma of roots being wrenched apart, moved far from the others in a cold place that will only get colder. Death would have been a logical conclusion but somehow they survived protected by layers of mulch and snow and God’s grace. I never use the old word gaiety but it does describe the “sweet moment” of gardening when you see a clump of early blue violets flourishing in an urban garden in Calgary, a reminder of my older sister’s uncanny ability to speedily find and make a wild blue violet bouquet; single shooting star plant chosen for the garden because of the Garry Woods fields on Vancouver Island; a single brilliant orange poppy opening in May; and too many to describe because the garden and the robins are waiting. A quiet mind in an anxious world where even one’s own home and garden is temporary and insecure. Two years ago the 1950s bungalow across the street with its very old heritage garden was demolished, the fertile ancient river bed soil was scraped away and a duplex quickly filled the entire lot. The front landscaping is as polite as that in any new development. Last year a neighbour sold and moved back east. The new owner tore out the old garden that had been tended for 15 years replacing it with more practical grass which requires less work in their busy schedule. On the corner one of our oldest neighbours has finally agreed to his family’s desire to sell. The house was built in 1945 and moved in the 1950’s and is surrounded by a horticultural heritage garden, sun rooms, inviting comfortable sitting areas in every corner, sheds overflowing with tools . . . It too will be sold, demolished, the garden uprooted, the topsoil scoured and replaced by other built forms like the one next door, and the one next to that and the next one: walls of sensible stucco with ubiquitous earth colours coordinating with other homes, designs and forms. Perhaps its what postmodernism has become in the booming housing market, picking up on details from Tudor, Victorian, Queen Ann, etc from here and there and tacking them on superficially. Their height is maximized to the zoning limits and the walls extend to the edge of the property. The intelligent pragmatic architecture and materials of these buildings will be easily recognized in the future as D1 of the 21st century many surviving only as photos since the actual buildings are not made to the same standards as pre-1980s. Fortunately the set back gives room for some old trees and tasteful, smart urban landscapes spaces. This is not “my” garden. I for a short period of time am simply the worker for the robins, plants and the worms. It is a gift to the street. I work outside the fence. I have to be realistic. As I dig up ancient river stones I write on them, words that I then reread when I am taking out the braids in the rhizome of roots. But for today I will compost, mulch, feed, plant, transplant, water, tidy, admire, get tired, feel courage, gaiety and enjoy fleeting moments of a quiet mind. and our friendly helpers in this foreign isle. Bless us, if it may be, in all our innocent endeavours. Stevenson wrote the Valima Letters after he and his wife Fanny settled In the village of Valima on Upolu island, Samoa. He also became an much-appreciated activist highly critical of European colonial administrators worked very hard on land he had purchased in Vailima. He published A Footnote to History. He died in 1894. 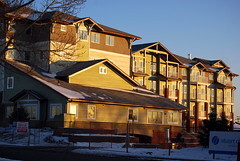 In his 2010-04-30 blog entry entitled “A Gift to the Street” sustainability activist, author, blogger, architect and photographer Steve Mouzon  suggests that the best expression of neigbourliness is giving a gift to the street. For example, planting a street-side garden or shade tree, is a simple offering that might helps get people outside, delight a stranger or make the neighbourhood a better place to walk. I had not thought of my frontage and lane side gardens in this way and it is a delightful thought for this avid gardener. Although I enjoy working inside the fenced off area in the back of the house, sharing the space with a very large dog that wasn’t mine, encouraged me to spend most of my time in the front, which is a street-side garden. Gradually as I replaced grass with ever-expanding garden beds I began to work outside the fences which meander around the rest of the property offering seemingly endless possibilities for even more garden beds. Maintaining these laneways was already a chore so why not remove the grass/weeds and plant more waterwise, hardy, perennials that will maintain themselves? Besides Calgarians are asked to be more water wise and less grass means less water usage. In the past year I have enjoyed many spontaneous conversations with neighbours, friends and strangers while leaning on my spade. Once a man from the city’s more vulnerable population asked if I would let him use the garden hose to cool his face covered in cuts and bruises. Two others reminisced about when they too had large gardens before life’s challenges left them homeless. On another occasion I found myself inside the car and then the architect-designed unique home of strangers still wearing my knee-pads and carrying my garden gloves. They liked the fact that I was improving the lane that they used all the time and wanted to share the beauty of their home/garden experience. It was magic. Sometimes we end up sharing plants and gardening tips as well as encouragement. A new neighbour from Saudi Arabia and her young daughter Neda helped me start a new bed in the far back laneway, one that will be visible from the escarpment in the park a few blocks from here. On a large river stone Neda wrote “Happy Family Garden” and it does make me happy to see these words every time I work or walk nearby. 1. In his book entitled The Original Green, (2010) Mouzon argues that instead of going “gizmo green” we can all take simple steps towards sustainable living. Why not live in smaller homes with rooms that have multiple functions or perhaps raise a victory garden? I think his blog entitled Useful Stuff which he describes as “blogging as memory” is like the front garden or the garden outside the fence. It’s where ideas are not kept within a secret gated garden but shared with strangers. Instead of worrying about theft and vandalism he gardens in a space that is completely accessible to passersby. Mouzon, Steve A. Useful Stuff: Things I’ve dug up that I don’t want to have to dig up again. Mouzon, Steve A. 2010. The Original Green: Unlocking the Mystery of True Sustainability. The Guild Foundation. Press. Olwell & Waldhorn. 1982. A Gift to the Street. St Martins Pr.